Jesus Christ is the King of kings but he did not come to earth staying in a palace. Instead he was born in a manger1 and had no place to lay down his head2. Even though he was God he took the form of a servant and condescended to human form3. He allowed man that he had created to pierce him, spit at him, beat him up for the sole reason of staying true to his purpose. If you have a mission, vision and some values, how often do you endure ridicule for the sake of your purpose? If you know why you are a leader and you have a goal to achieve, it is hard to be steered off your track by nagging customers, subordinates, team members etc. Be humble enough to lead by serving. 2. Going down is the road to going up. John Maxwell in his book ‘21 Irrefutable Laws of Leadership’ put it this way “You have to give up to go up”. Expressing the same principle Jesus said “Whoever wants to be greatest among you should be a servant”4. You deserve to lead if you are willing to go down and wash your followers’ feet, being hands on and getting your hands dirty. Don’t act too smart by leading only from a high seat unless you are planning a short term leadership – for that is exactly what it will turn out to be! There may be nothing wrong with your production process or your product. There may be nothing wrong with your customer service process but even if it is the consumer at fault, take responsibility. 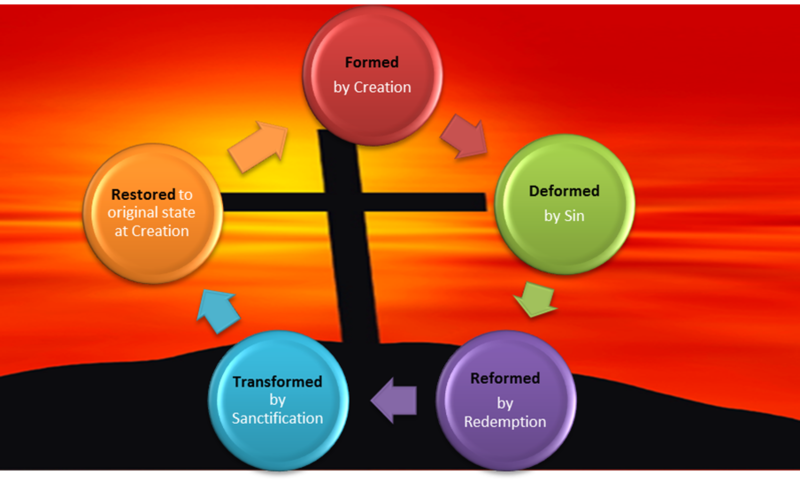 Jesus understood his product cycle that he had formed a perfect product which was deformed by sin and he needed to reform and transform his product so that it would go back to its original perfect state. He did not delegate such a crucial assignment to the chief angel but he led by example. He took the initiative for bridging the gap while men were yet sinners. Take ownership for service recovery and make things right even if you are not the one in the wrong. As hard as it was for him in the garden of Gethsemane to imagine the road to the cross5, Jesus still took the hard road willingly for no man took his life from him but he lay it down by himself6. As a servant leader at times you sacrifice your own happiness for the happiness of others or relinquish your right to be right because the customer is always right. If you make sacrifices because you should or you have to even though you don’t want to then sadly you have no capacity to sustain your leadership. 5. Resurrection morning is coming. Servant leadership is not all gloomy and miserable. At the other side of a sacrifice is a celebration; for indeed resurrection morning is coming! Every service produces a harvest. Jesus secured an eternal connection with the hearts of man by such great sacrificial love. You can secure the hearts of your patrons, customers and teams by your servant leadership. Resurrection means victory over sin and death. Your resurrection as a servant leader can mean victory over pride, self-seeking, self-exaltation while ushering you to a lasting influence over a people who accept and love your leadership not because they have to but because they want to. You can add any lessons that you have also learnt by sharing in the comments section. This entry was posted in Customer Service (workplace), Social Service ( Home, Family, Community), Theological Service (Church) and tagged 21 Irrefutable Laws of Leadership, Easter, easter bunny, easter egg, Jesus Christ, Jesus service, John Maxwell, servant leader, servant leadership, service. Bookmark the permalink.